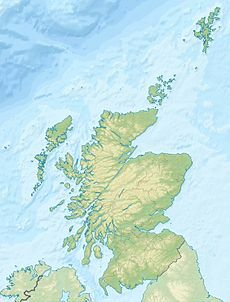 The 2015 Open Championship was a men's major golf championship and the 144th Open Championship, held from 16–20 July at the Old Course at St Andrews in Fife, Scotland. It was the 29th Open Championship played at the course and Zach Johnson won in a four-hole playoff for his second major title. World number one Rory McIlroy withdrew prior to the tournament due to an off-course ankle injury; he was the first defending champion absent from the Open in over sixty years, since Ben Hogan opted not to participate in 1954. Masters and U.S. Open champion Jordan Spieth attempted to win a third consecutive major and take over the top ranking. He finished one stroke out of the playoff, in a tie for fourth. Inclement weather – which included heavy rain and very strong winds – forced play to be suspended twice, on Friday and Saturday, with the latter having play suspended for nearly most of the day. The third round was held on Sunday and the final round (and playoff) on Monday; the Open had last concluded on a Monday in 1988, 27 years earlier. This was also the last Open Championship played under the then present TV deals with the BBC and ESPN each having their swan song. NBC and Sky Sports would take over coverage the following year at Royal Troon. The 2015 event is the 29th Open Championship played at the Old Course at St Andrews. The most recent was in 2010 when Louis Oosthuizen won his only major title and became the first South African to win an Open Championship at St Andrews. Rory McIlroy (2,3,4,5,6,7,9,11,13,15) withdrew with an ankle injury. Chris Kirk (13) withdrew with a hand injury. Alexander Norén withdrew with an injury. The Open Qualifying Series (OQS) consisted of 10 events from the six major tours. Places were available to the leading players (not otherwise exempt) who finished in the top n and ties. In the event of ties, positions went to players ranked highest according to that week's OWGR. The Final Qualifying events were played on 30 June at four courses covering Scotland and the North-West, Central and South-coast regions of England. Three qualifying places were available at each location. (RQ) indicates a player who had played in Regional Qualifying on 22 June: players with an Official World Golf Ranking were exempt from Regional Qualifying, as was Paul Dunne because he had played at Royal Liverpool in 2014. To make up the full field of 156, additional places were allocated in ranking order from the Official World Golf Ranking at the time that these places were made available by the Championship Committee. Any places made available after the week 27 rankings issued on 5 July 2015 use these week 27 rankings. Six places were made available on 29 June based on the week 26 rankings. Dustin Johnson posted a seven-under-par 65 on day one to lead by one shot from a group of six golfers. Jordan Spieth was two shots off the lead after carding a 67. The first group teed-off at 6:32 am BST on Friday, but heavy rain caused localised flooding and play was suspended at 6:46 am. Restarted at 10 am; later tee times were delayed over three hours . The tee time for the 52nd and last group was delayed from the original 4:13 pm to 7:27 pm. The second round was not completed on Friday and 42 players returned early Saturday to finish their rounds. Dustin Johnson was the overnight leader on 10-under-par after 13 holes, a stroke ahead of Danny Willett. The day marked the final Open appearance of five-time champion Tom Watson at age 65. Play resumed on Saturday at 7 am, with the third round due to start at 11 am. However, play was soon suspended at 7:32 am because a strong wind was moving stationary balls on some of the greens. Because it was a non-dangerous situation, players were allowed to complete the hole they were playing. Dustin Johnson had bogeyed the 14th to move back to 9-under-par, tied for the lead with Willett. After a delay of several hours, it was decided that only the remainder of the second round would be competed on Saturday, with the third round scheduled for Sunday and the fourth round for Monday. Play finally resumed at 6 pm, a 10½ hour delay, and was completed after 9 pm. The 36-hole cut was at even par 144 and eighty players advanced to the third round. *The last group completed play Saturday at approximately 9:19 pm. Amateur Paul Dunne was in a share of the lead after the third round along with Louis Oosthuizen and Jason Day. No amateur had led the Open after three rounds since 1927. *The last group completed play Sunday at approximately 7:04 pm. Marc Leishman carded a 66 in the final round to have the lead in the clubhouse at −15 while the final pairings were beginning their back nine. Zach Johnson then birdied the 18th to also card a 66 and tie the clubhouse lead with Leishman. The second to last group of the round were Jason Day and Jordan Spieth. Day and Spieth both headed to the par-4 16th at −14, one shot back of Leishman and Johnson. Spieth hit a difficult putt to birdie to get to -15, while Day parred. On the famous par-4 17th "Road Hole," an errant approach shot by Spieth resulted in a bogey and he was back at −14. Day was unable to convert a difficult birdie putt and remained at −14 as well. At the 18th, Spieth's approach shot was short, in the "Valley of Sin" below the green; he almost holed the chip for birdie, but settled for par and 274 (−14). Day was left with a 15-foot (4.5 m) birdie putt to join the playoff, but could not convert and also ended a stroke back at 274. The final pairing was Louis Oosthuizen and amateur Paul Dunne, who was at even par 36 out, but was four-over on the next four holes, fell out of contention, and tied for thirtieth place. Oosthuizen played a solid round and needed a birdie at 18 to get into the playoff with Leishman and Johnson. His approach shot left him with a 10-foot (3 m) birdie putt, which he sunk. The Open Championship's rules dictated there would be a four-hole aggregate score playoff between Johnson, Leishman, and Oosthuizen. Johnson took the early lead on the first and never looked back, winning by a stroke over Oosthuizen. The win was Johnson's second major championship victory; he won the Masters eight years earlier in 2007. This was the ninth four-hole playoff at the Open Championship, first used in 1989. The last playoff at St Andrews was twenty years earlier in 1995. Johnson and Oosthuizen birdied the first while Leishman bogeyed; Johnson birdied the second and then the routing switched over to the Road Hole (#17), which all three bogeyed. All three made par at 18 and Johnson won the Claret Jug by a stroke. ^ a b "The Champion Golfer of the Year will win more than £1 million at The Open". The Open. Archived from the original on 26 June 2015. Retrieved 24 June 2015. ^ "Rory McIlroy pulls out of Open title defence at St Andrews through injury". The Guardian. 8 July 2015. Retrieved 15 July 2015. ^ "Jordan Spieth warns Open 2015 rivals: 'My putting is awesome right now'". The Guardian. 13 July 2015. Retrieved 15 July 2015. ^ Dawkes, Phil (20 July 2015). "Open 2015: Zach Johnson triumphs in play-off at St Andrews". BBC Sport. Retrieved 21 July 2015. ^ Cutmore, Chris (18 July 2015). "The Open set for Monday finish for first time since 1988 as 45mph winds batter the Old Course causing chaos at St Andrews again". Daily Mail. Retrieved 21 July 2015. ^ "St Andrews – The Old Course". Archived from the original on 21 September 2012. Retrieved 19 February 2013. ^ "Media guide". The Open Championship. 2011. pp. 19, 203. Archived from the original on 18 April 2012. Retrieved 30 June 2012. ^ a b "The Open Championship – Entry Form" (PDF). The Open. Archived from the original (PDF) on 23 March 2015. Retrieved 28 January 2015. ^ "Exemptions". Retrieved 28 January 2015. ^ a b "Rory McIlroy pulls out of British Open". Yahoo News. Associated Press. 8 July 2015. ^ "The Open: Tom Watson delighted at 'very special' 2015 exemption". BBC Sport. 2 July 2015. Retrieved 17 July 2015. ^ a b Ross, Helen (11 July 2015). "Kirk withdraws from Open Championship". PGA Tour. ^ a b @TheOpen (12 July 2015). "Field update: Alex Noren of Sweden has withdrawn from #TheOpen due to injury and is replaced by Japan's Hiroshi Iwata" (Tweet) – via Twitter. ^ "The road to The Open begins in Australia". The Open. 23 November 2014. Archived from the original on 29 December 2014. Retrieved 24 November 2014. ^ "Players". The Open. Retrieved 2 July 2015. ^ "Donald secures return to The Open". The Open. 29 June 2015. Archived from the original on 1 July 2015. Retrieved 29 June 2015. ^ a b @TheOpen (12 July 2015). "Field update: Tim Clark (South Africa) has withdrawn from #TheOpen and is replaced by Richie Ramsay (Scotland)" (Tweet) – via Twitter. ^ Dirs, Ben (16 July 2015). "Open 2015: Dustin Johnson leads at St Andrews after day one". BBC Sport. Retrieved 17 July 2015. ^ Bull, JJ; Lucas, Dan (16 July 2015). "The Open 2015, day one - as it happened". Daily Telegraph. Retrieved 17 July 2015. ^ Murray, Scott; Smith, Alan (16 July 2015). "The Open 2015: day one – as it happened". The Guardian. Retrieved 17 July 2015. ^ Murray, Ewan (16 July 2015). "Dustin Johnson leads Open after superb 65 as he chases major redemption". The Guardian. Retrieved 17 July 2015. ^ "Dustin Johnson retains lead with five holes left in second round". ESPN. 17 July 2015. ^ Murray, Ewan (18 July 2015). "The Open suffers storm of criticism as wind wreaks havoc at St Andrews". The Guardian. Retrieved 21 July 2015. ^ Murray, Scott; Smith, Alan (20 July 2015). "The Open 2015: day two – as it happened". The Guardian. Retrieved 21 July 2015. ^ Dirs, Ben (17 July 2015). "Open 2015: Dustin Johnson leads after day two at St Andrews". BBC Sport. Retrieved 18 July 2015. ^ Murray, Scott (18 July 2015). "The Open 2015: day three – as it happened". The Guardian. Retrieved 21 July 2015. ^ Murray, Ewan (20 July 2015). "The Open 2015: I don't see why I can't win Claret Jug, says Paul Dunne". The Guardian. Retrieved 21 July 2015. ^ Murray, Scott (20 July 2015). "The Open 2015: round three – as it happened". Guardian. Retrieved 21 July 2015. ^ a b c d "The Open". ESPN. 20 July 2015. Retrieved 15 May 2017. ^ Murray, Scott (20 July 2015). "The Open 2015: fourth round - as it happened". The Guardian. Retrieved 21 July 2015. ^ "Open 2015: Zach Johnson 'humbled' by St Andrews victory". BBC Sport. 20 July 2015. Retrieved 21 July 2015. ^ Corrigan, James (20 July 2015). "The Open 2015: Zach Johnson holds nerve against Marc Leishman and Louis Oosthuizen to win first Claret Jug". The Daily Telegraph. Retrieved 21 July 2015.